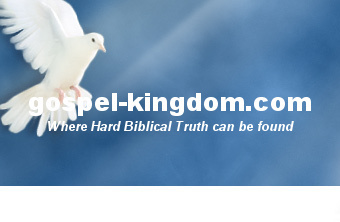 I asked the author of http://www.truthguard.com/ to respond to my page Church Government Part 4 - Eldership Rule Part 2. Normaly I would not create a webpage based on replies back and forth. But this is an important issue and one which there is a lot of confusion and abuse. My hope here, is to bring more clarity and understanding on the issue of Elder Rule. The author of truthguard.com's responses will be in dark blue. I assure you I can back up my stance from the Bible using Scriptures (in context). I mention context because the author takes a passage from Scripture woefully out of context (see below) in order to try to justify that pastors have a rule over the church, but not a rule over the people or specifically over the private lives of the people, a dichotomy which is clearly an institutional view. Pretty much only those who see the church as a building or institution can split the church into two non-existent separate parts: institution and people. The church is not part institution, part people. The church of Jesus Christ is a all PEOPLE! The church is 100% God's people. His contrary view betrays a lack of understanding of, not what the church is, but WHO the church is. So it is from a very limited understanding on the subject like this that gross sweeping assumptions are often made by many Christians, not just the particular author in question. He takes a very black and white approach to church rule; all or none. While I stand against elders and bishops making or ruling over personal lives, it is not a black and white issue. Young Christians need oversight and bishoping in their lives even in their personal lives, but not over or against their will. Nor should it be in such a manner with their will, when it falls into shepherding. There should be no brain washed sheep who want to submit to a man more than to God. I am not advocating a white washed institutional church where the elders have no weekly or no personal relationship with the congregation. Church is not a Sunday only existence but we are to be a body strung together working as a whole. Paul was certain of nothing except Jesus and Him crucified. This is why ministers shall receive a harsher judgment, because it is up to them to dissect scripture and feed the sheep. Math 15:36 And he took the seven loaves and the fishes, and gave thanks, and brake them, and gave to his disciples, and the disciples to the multitude. This is nothing but control in a different package. He doesn't seems to understand that the Greek word church [ekklesia] in the Bible is not an institution, building or business that somehow needs to be managed. The word church [ekklesia] in context means “a called out people of God”. So for elders to steer a church is for them to steer a people. There is no way around it. An elder who rules the lives of the sheep is ruling the church and an elder who rules the church is ruling the lives of the sheep. You cannot separate the two as he attempts to do. These are essentially one and the same concepts. If elders are steering the church, they are certainly controlling the people. There is indeed a distinction or separation of this. Scripture has such separation. The words "dividing asunder" here in Greek is the word "merismos". Most Christians do not know the difference between the soul and spirit. Elders and Bishops oversee souls, as Shepherds they feed spirits. The abuse occurs when these lines are mixed. They do not crush spirits. At least they are not supposed to. But there are indeed times when God makes aware to the church needs of other people. And the elders take authority. 1 Cor 16:1 Now concerning the collection for the saints, as I have given order to the churches of Galatia, even so do ye. This was for a collection of food for Jerusalem due to a famine. There are times when God may call for a fast or times of prayer, or some other spiritual event that has a physical participation, and God will use the elders to make such a call. They cannot nor should not force a fast, but they can call for it. In the Bible we see the Apostles, Elders and general church members deciding on things like this together – see Acts 15:22-23 - Then the apostles and elders, with the whole church, decided to choose some of their own men and send them to Antioch with Paul and Barnabas. Acts 15:22 NIV [Emphasis added]). I will give another possible understanding of Acts 15. I first read/heard about the following interpretation from one of Kenneth Hagin's books. I am not convinced how true the following is, but would lean more to that than the author of truthguard.com. Who makes decisions concerning the affairs of the local church? Who's in charge? Who is accountable before God? A deacon board? An administrative board? A council of Elders? A committee? These questions plague Christians around the world. Acts chapter 15 is the model for decision making in the local church. We see a beautiful picture here of godly church government. This is a New Testament SNAPSHOT! From this chapter we discover that the whole Jerusalem church congregation had a VOICE. In other words, any member of the church was welcome to VOICE their comments or suggestions on any issue. Then the apostles and elders (staff missionaries and pastoral staff) gave their ADVICE... Combining this chapter and other references to James in the Bible, as well as documented historical data; there is no question that James was the Senior Pastor of the church of Jerusalem. Notice that it was the Senior Pastor, not a committee, or some other GROUP that made the FINAL DECISION. You see, in a local church everyone is of COEQUAL VALUE to God. There are no "BIG ME'S AND LITTLE YOU'S". And in the local church there can be COEQUAL MINISTRY; meaning the Senior Pastor may have other gifted speakers or ministers on the church staff as well as responsible and gifted laymen. But both scripture and proven experience teach us that there CANNOT be COEQUAL AUTHORITY in the local church any more than there can be COEQUAL AUTHORITY between a school teacher and her classroom of students. After the people of Acts were able to give a VOICE, the church staff was able to give wise ADVICE, and after Pastor James made the FINAL DECISION or VOLITION considering the VOICE, the ADVICE, and the SCRIPTURE; EVERYONE supported the decision. They stood together as a united voice. Sadly he has put me into institutionalism again. I do believe in participation by the congregation. The congregation can even prophesy. But these are to be judged by prophets (doma elders). 1 Cor 14:27 If any man speak in an unknown tongue, let it be by two, or at the most by three, and that by course; and let one interpret. Sometimes when the Holy Spirit moves, like during worship or praise, non elders may prophesy or give a tongue and interpretation. In most cases an elder will or should follow up with the same. If not, they can a least give a word of wisdom, or counsel, or interpretation which steers this "word". And there are even cases where the elder will take the reigns of this "word" and minister on it throughout the rest of the service. But regardless, the service is directed and steered by the eldership. And yes under the guidance of the Godhead. “The Bible tells us there is government giftings." This is bogus, I am not sure where I learned the following... in college the deep courses/classes deal with Romans and the work of the cross. But yet, that knowledge should be the standard of the normal christian. Not the educated elite. Secondly, I discussed elsewhere the idea of laity verses priests. I could quote it all here and hope people see the similarity but would rather get to the point. Why would God cause His Bible or the lack of protection and allow the Bible to be mistranslated, causing the common man to need education to translate it himself or rely on certain "priests" to do it for them? This is a type of Gnosticism this author perpetuates, though probably unknowingly. I will refer people here to another term which scripture calls "The Doctrine of the Nicolaitins". Now like Paul did once, I can be foolish too, and use Greek definitions like this author did to prove his case. Acts 20:17 And sending to Ephesus from Miletus, he called for the elders of the assembly. 28 Then take heed to yourselves and to all the flock, in which the Holy Spirit placed you as overseers, to shepherd the assembly of God which He purchased through His own blood. But rather than having to look all that up, can't we take God's word as God's word? So does scripture say more on the government of God's people? Doma elders are here to perfect the saints, until we come to the unity of the faith. Now if he is of the group that claims the perfect has come (1 Cor 13:10), which group claims its the bible, then why can't he take the Bible's word at face value? “But church leaders don't decide where you work, what clothes you wear, or who you are to marry. They don't rule other households..."
True, but neither are elders allowed to control any aspect of a Christian's life or church life [assembly life] in general, which is a huge aspect of the Christian life, more spiritually all-encompassing than the more domestic things that he touches on here. 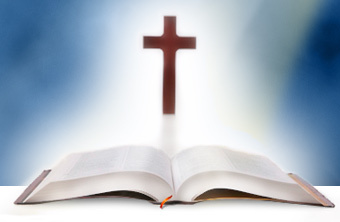 1 Co 4:17 ¶ For this cause have I sent unto you Timotheus, who is my beloved son, and faithful in the Lord, who shall bring you into remembrance of my ways which be in Christ, as I teach every where in every church. Heb 13:17 Yield to those taking the lead of you, and submit, for they watch for your souls, giving an account, that they may do this with joy, and not with grieving; for this would be unprofitable to you. 3 nor as exercising lordship over the ones allotted to you, but becoming examples of the flock. In conclusion, if we are to take God's word at face value, trusting in God's ability and power to keep His word, and believing that the need for special people to translate scripture for us is condemned by God, and that God does not require His followers to have special education themselves; we can see that Elder Rule is scriptural, although it is greatly abused in the Earth today. I also would like to say, that it may all be just futile anyway, because I have yet to find this Biblical example in churches today. But it would be wrong to say that they don't exist. Cause I just don't know. I would like to clarify. I have yet to find a church, which operates in the Charisma's and with Elder Rule without abuse. There seems to be an abundance on the end spectrums. Churches that have lots of liturgy and ceremony but no abuse or Churches with lots of Elder Rule but have abuse. I did find one church which seemed to have a good balance of Elder Rule. They had elders and deacons correct scripturally, but they had no Charismas in operation. But then again I live in the heart of Catholicism and Lutheranism. It is very easy to fall into the trap of believing in mistranslations. It's a very understandable probability. But if one simply trusts God and takes Him at His word one must realize it's all or nothing. When you do come to that realization then the probability becomes nil. But he isn't clear enough or has a double standard on these points. I see evidence of contrary beliefs within his doctrines, one cannot believe the Bible as being the source of truth and then believe it has been translated wrongly. But he may not even have seen this contradiction. I finally heard from http://www.wickedshepherds.com/, but he only wrote several short sentences denouncing these pages solely based on my doctrinal stance without any doctrinal or theological arguments. This is called an Ad hominem attack. See here for what that is: Ad hominem.